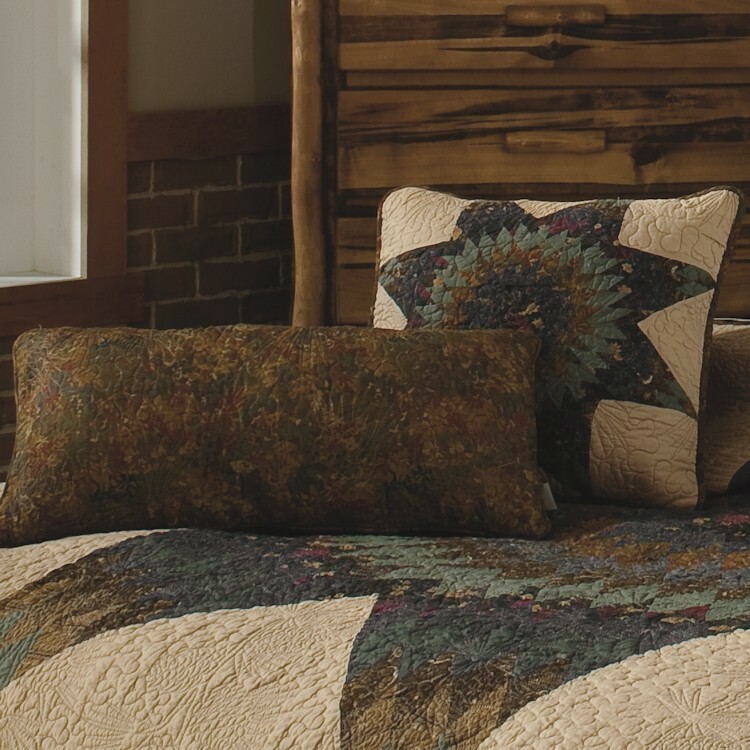 An eight pointed star in shades of green, blue, brown and gold takes center stage on these warm and cozy Forest Star Quilts. 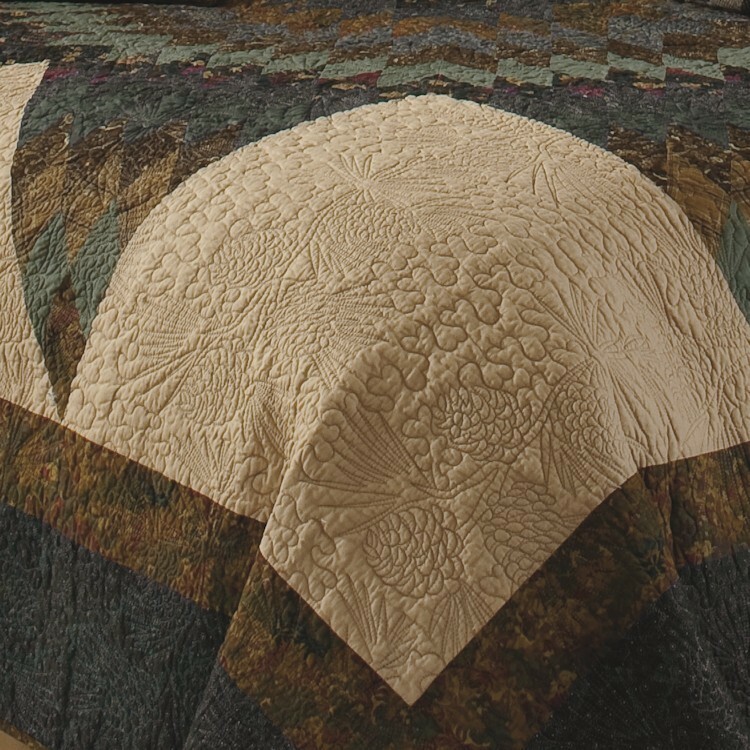 An intricate pine cone pattern is quilted into the tan background and finished off with two wide fabric borders. 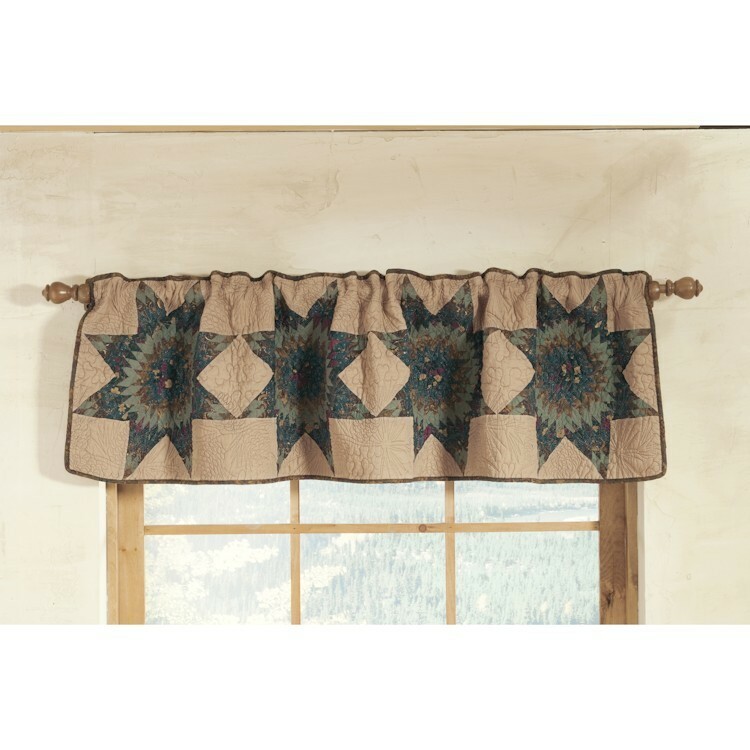 Bed sets include a delicious caramel tailored bedskirt and simple flanged euro shams to complete the total appeal of this rustic bedding.